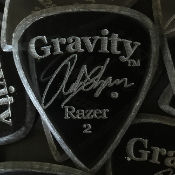 Largest selection of Gravity Picks available outside of the USA! Unabhängiger europäischer Vertrieb (in Großbritannien). Schneller und kostenloser weltweiter Versand bei Bestellungen ab £16. 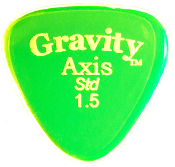 Größte Auswahl von Gravity Picks außerhalb der USA. 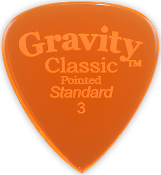 What makes for the best plectrum? The short answer is whatever feels right for you and suits your style of playing. 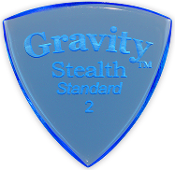 Gravity Picks offer a staggering variety of over 2,000 different plectrums / picks (and that’s before you get to the colour options!). 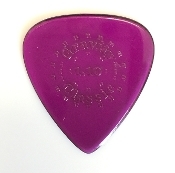 With a little bit of trial and error, you should arrive at your perfect plectrum / pick, hand made in California to your exact specification. 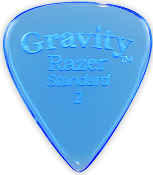 Made of Polymethyl Methacrylate the picks have a gloss finish. Contrary to what you might expect, this results in the plectrum / pick becoming grippier as it warms up to body temperature. This gives greater comfort and confidence when playing. 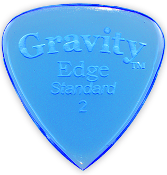 The picks are available with a polished or unfinished (Master Finish) edge which will alter the tone dependant on how the pick is angled and held whilst playing. 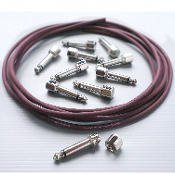 The Master Finish gives a brighter tone with more bite and you can feel as well as hear the difference that this finish makes. 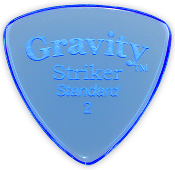 Gravity Picks Europe is a small, efficient, but most importantly, a friendly business set up and run by a guitar player for guitar players. It offers next day UK delivery and 2-3 day delivery within the rest of Europe. If you don’t see the exact pick that you want, please drop us a line and we will obtain it for you. If you don’t like it or it’s not quite what you wanted, no worries, send it back and we can arrange for you to try something different until you arrive at your perfect pick. 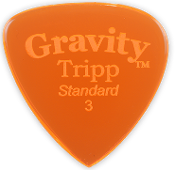 If you’ve never tried a Gravity Pick you owe it to yourself to experience a pick made with the same quality, craftsmanship and attention to detail as the instruments they will play. If you can't find what you're looking for, please text, call or email, it would be a pleasure to hear from you and I'm sure we can help. 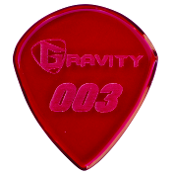 Don't forget, you can still order bespoke picks from the Custom Shop in California, which like all Gravity Picks, will be hand made by Chris Fahey. 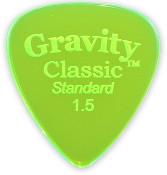 Gravity Picks Europe can only accept returns for picks bought from Gravity Picks Europe. If you order from the Custom Shop please note that you are agreeing to the terms and conditions on the US website.